Physical or digital? 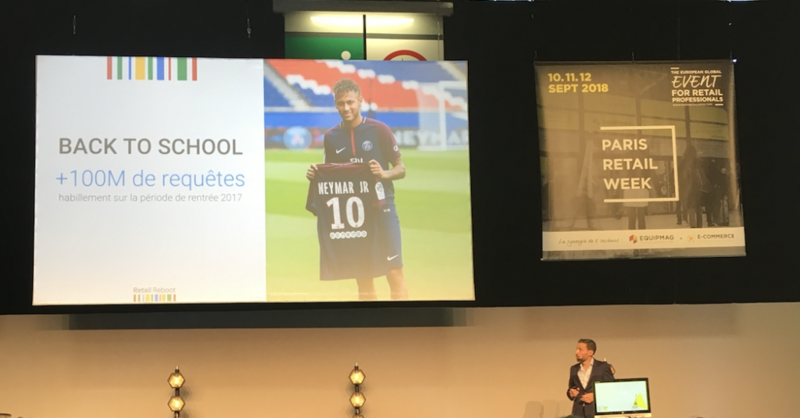 We found merchants doubling down on both at Paris Retail Week. At the big event in Paris last month, we found retailers intent on merging the online and offline shopping experience in exciting new ways. See who we met and what the future of digital might hold for global ecommerce. Among the huge amount of digital sales and marketing trends we observed throughout the week, a few emerged again and again: mobile-first, phygital experience, and always-on, multi-channel marketing. Phygital? Is that a typo? Hardly. 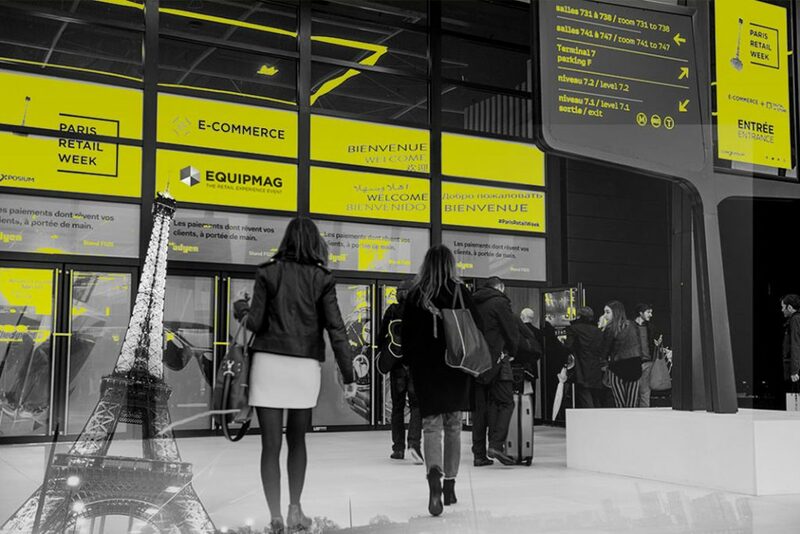 It’s the latest trend in ecommerce, and it was prevalent everywhere at Paris Retail Week. Phygital combines “physical” and “digital” experiences in a new ecosystem. This offers the consumer a full acquisition experience across different channels. From payment providers to marketing agencies, everyone was talking about going phygital. One of our favourite presentations was by AB Tasty. They focused on how optimising client experience can boost sales and conversions in the long-term. It’s not enough to promote your products, nor to link to an influencer for social proof — you need to create a full customer experience. Starbucks and Nespresso are good examples of how this works offline, assuring that a customer who comes in to drink a coffee will linger around for the next 20-30 minutes. By keeping the customers in the shop, they will eventually order more. The goal is to reproduce this immediately sticky experience online too, and focusing on web engagement benchmarks is the best way to track your progress here. Using the example of conversion rate optimisation (CRO) for mobile apps, AB Tasty’s Alexis Dugard highlighted how doing data-driven analysis of UI performance, on a very detailed level, can help clarify how mobile shopping connects with a wider brand experience. In the end, customer experience means knowing the customer. 81% of consumers are willing to pay more for an optimal customer experience. Brands that are reluctant to invest in customer experience, either online or offline, will hurt their bottom line, even if this isn’t immediately apparent. Those brands that do invest in multi-channel customer experience are investing in long-term growth fuelled by higher Average Order Value (AOV). 81% of consumers are willing to pay more for an optimal customer experience — the statistic speaks for itself! Another great talk was from Guillaume Cavaroc, a Facebook Academie representative, who discussed how mobile shopping now overlaps with offline shopping. He looked at experiments with how to track customers across their journeys, with mobile login as a focal point. In the Google Retail Reboot presentation, Loïc De Saint Andrieu, Cyril Grira and Salime Nassur pointed out the importance of data in retail. For ecommerce sites using the full Google stack, Google data represents the DNA of the companies and Google Cloud Platform is the motor of all the services, making multi-channel data more useful than ever in assisting with smart targeting and customer acquisition. The Google team also stated that online shopping experiences that don’t have enough data will turn to dust, unable to scale, and that in the future every website will become, in one way or another, a mobile app. In some ways, “phygital” really means mobile-first. This message that rang out clearly in France, which is a mobile-first country where a customer’s first encounter with your brand or product is inevitably via mobile — whether through a browser, specific app or social media feed. Physical marketing is making a comeback. Boxed CEO Chieh Huang and PebblePost founder Lewis Gersh presented the success of using online data for offline engagement, which then converts directly back on the original ecommerce site. Experimenting heavily in this area, they’ve seen personalised notes on invoices and Programmatic Direct Mail (with the notes based on viewed content) generate an increase of 28% in online conversion rate. Our real-world mailboxes have become an uncluttered space, and customers crave the feel of a paperback catalogue or simple postcard, to name just a bit of the physical collateral that’s becoming popular again — and being done at a higher quality than in the years of generic direct mail. Our real-world mailboxes have become an uncluttered space, and customers crave the feel of a paperback catalogue or simple postcard. 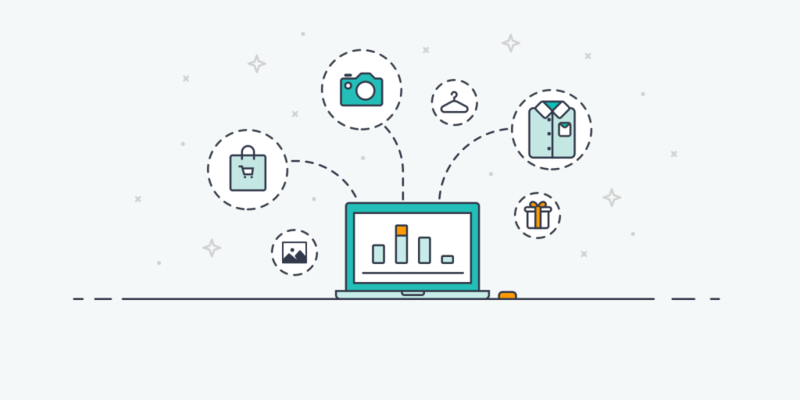 However, data is still the backbone of retail. In 2017 Amazon spent approximately $16 billion (USD) on data analysis, and it was worth every penny, generating around $177 billion in revenue. Analysing declarative and customer behaviour data on the shopper’s path-to-purchase is a must for merchants to compete with Amazon. Creating an omni-channel experience for the user should be your goal. This means an integrated and cohesive customer shopping experience, no matter how or where a customer reaches out. Omni-channel ecommerce…unifies sales and marketing to create a single commerce experience across your brand. Multi-channel ecommerce…while less integrated, allows customers to purchase natively wherever they prefer to browse and shop. Definitions aside, the goal is to reduce friction in the shopping experience. In other words, you should use anonymous data to optimise ad spend and product marketing. For marketers, this means going beyond pretty dashboards to look at more sophisticated attribution models. We’ve definitely seen this trend with Littledata’s most successful enterprise customers. Ecommerce directors are now using comparative attribution models more than ever before, along with AI-based tools for deeper marketing insights, like understanding the real ROI on their Facebook Ads. In the world of ecommerce, seasonality no longer means just the fashion trends of spring, summer, autumn and winter. Online events like Black Friday and Cyber Monday (#BFCM) define offline shopping trends as well, and your marketing must match. “Black Friday” saw 125% more searches in 2017, and “Back to School” searches were up 100%. And it isn’t just about the short game. Our own research last year found that Black Friday discounting is actually linked to next-season purchasing. 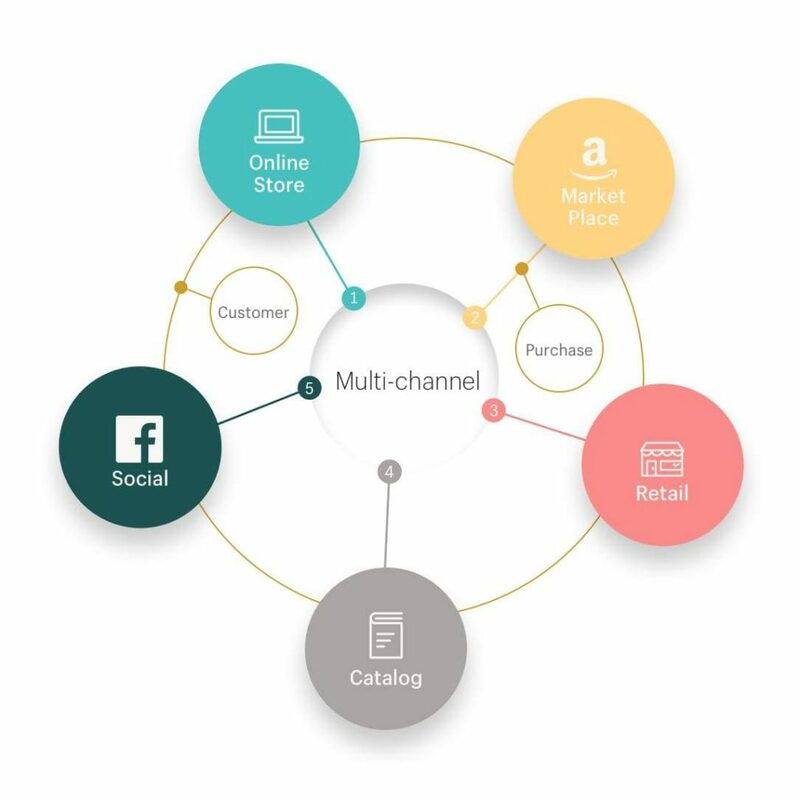 Phygital or otherwise, are you ready to optimise your multi-channel marketing? If not, you’re missing out on a ton of potential revenue — and shoppers will move on to the next best thing. Previously managed Customer Services for the British Council. She’s experienced in customer relations, project management and sales. She has a BA degree in cultural studies. Firm believer in learning new skills and constantly improving herself.